Whether you think of them as a “beauty mark” or as a nuisance, moles are a common skin formation that can appear almost anywhere on your body. Many people have moles that have been with them for decades, never causing any problems. But with the high levels of skin cancer and the link to moles, many people wonder if they should have certain moles removed. Here are some tips on identifying suspicious moles and when to visit a dermatologist for mole removal. Any significant changes in existing moles or new moles that look different than others should be diagnosed by a dermatologist. Often, they will examine the mole and then remove it. Once removed, it can be tested and examined to determine if it is cancerous or pre-cancerous. 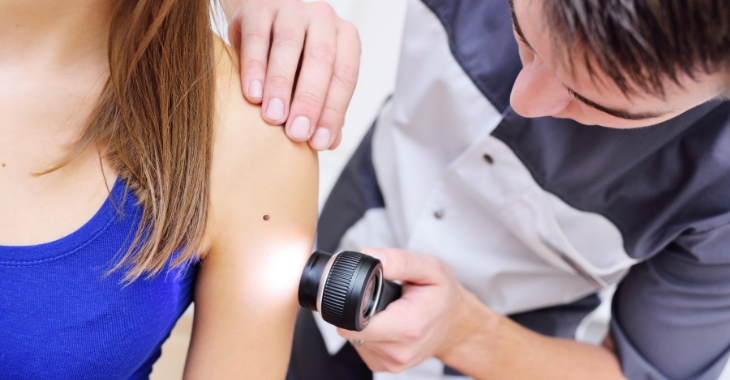 If you have a mole that you want examined or removed for any reason, see your local dermatologist. Mole removal can usually be performed during an office visit but should only be completed by a medical professional.